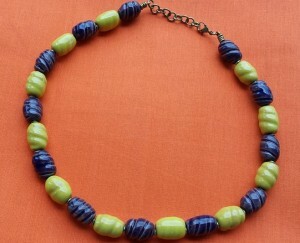 This clay trade bead necklace measures 26″ in length when opened. 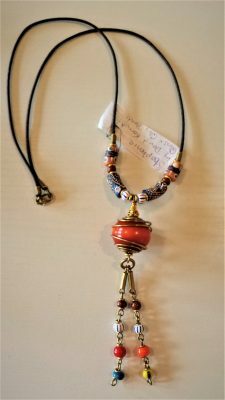 The clay beads are attached to a leather string that has a brass closure. The medallion that is attached to the clay beads measures 1″ across and is encased with brass wire. 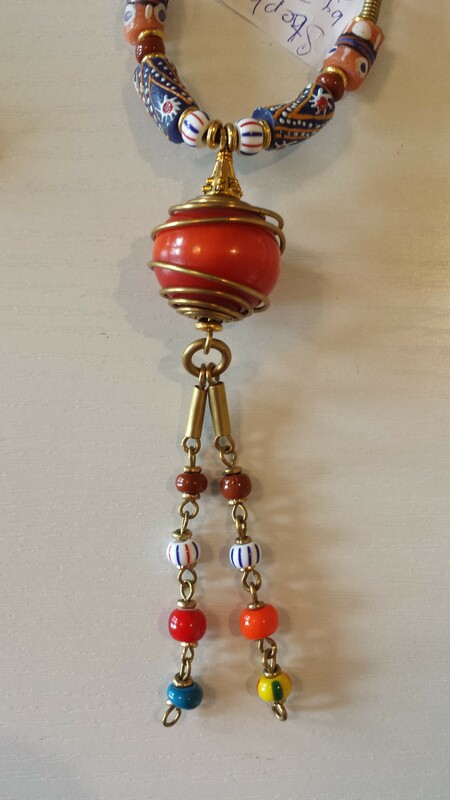 Hung from the brass wire are multi-colored clay stones attached with brass hardware. 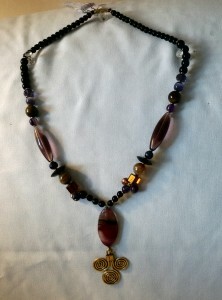 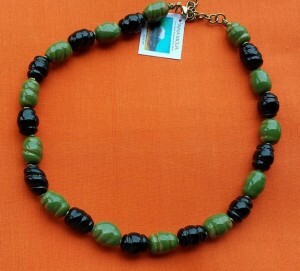 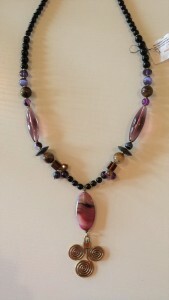 This necklace is made by David Kariuki, a Kenyan Artisan. 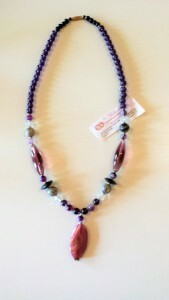 Tag: clay trade bean necklace.